There are but a few vintage apartment buildings left in Sioux Falls. The Dakota, built in 1917, is the finest example of the Arts and Crafts Era surviving in Sioux Falls. It is a stunning example of the American Arts and Crafts Movement in architecture. Located downtown, each apartment has been beautifully restored with original maple woodwork, maple floors, new kitchens, and new bathrooms. The one bedroom apartments have large rooms, many windows and are truly one-of-a-kind classics. Once in a great while history repeats itself. This is one of those times and Highgrove is one of those places. No expense was spared when built. Fabulous hardwood floors, tile bathrooms, large windows, and beautifully restored kitchens. Only steps from downtown. We've made it new again. A great apartment makes people happy. Highgrove has been making people happy since 1940. Highgrove is listed on the National Register of Historic Places. Located close to the Mckennan Park Historical Area and only 7 blocks from downtown, the Normandie is where it all doesn't happen. It's the place where peace and quiet meet. Each apartment is restored to old again. 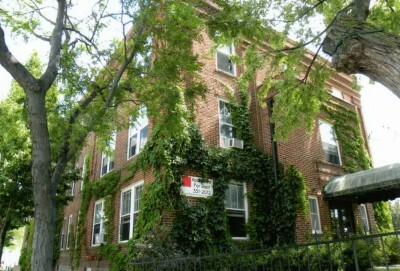 The apartments have hardwood floors, original woodwork and many windows. Built in 1937, the LaSalle is the quintessential apartment building. Beautifully restored to their original condition, each apartment has hardwood floors, fabulous woodwork, large rooms, new kitchens, and huge closets. A second story 1,800 square foot private veranda makes summer even more enjoyable. The LaSalle is unique in beauty, style, and character. If you are searching for a special apartment, I invite you to visit the LaSalle.